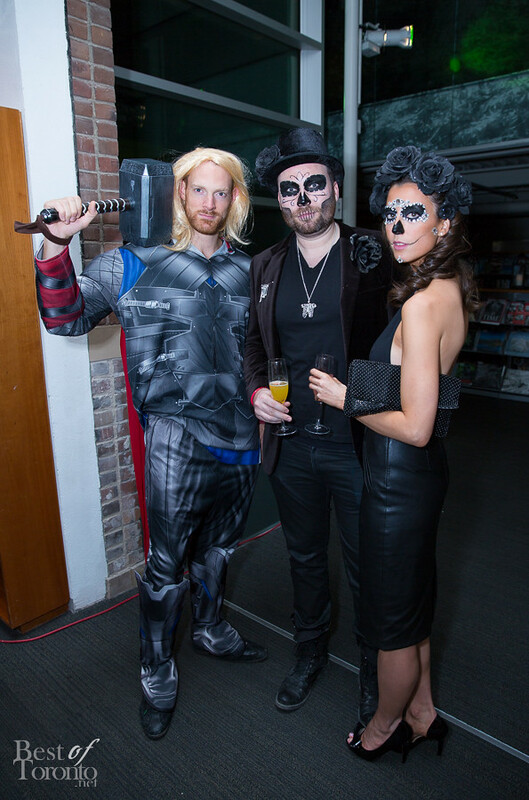 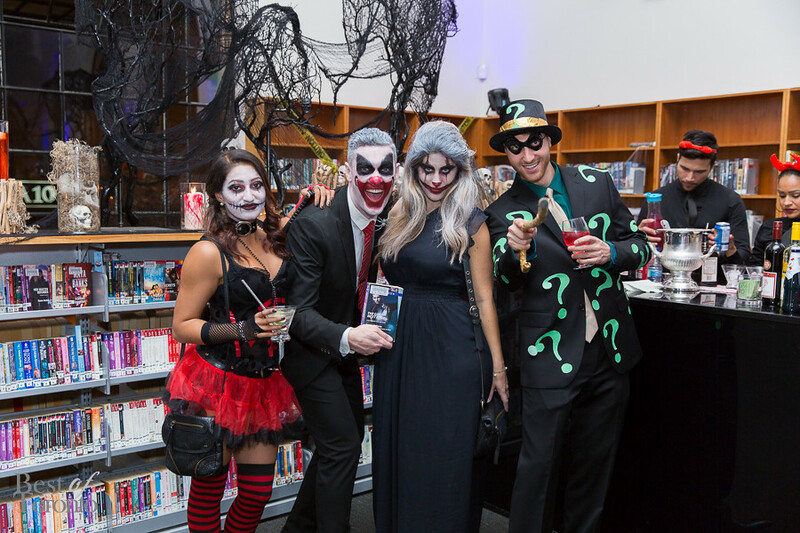 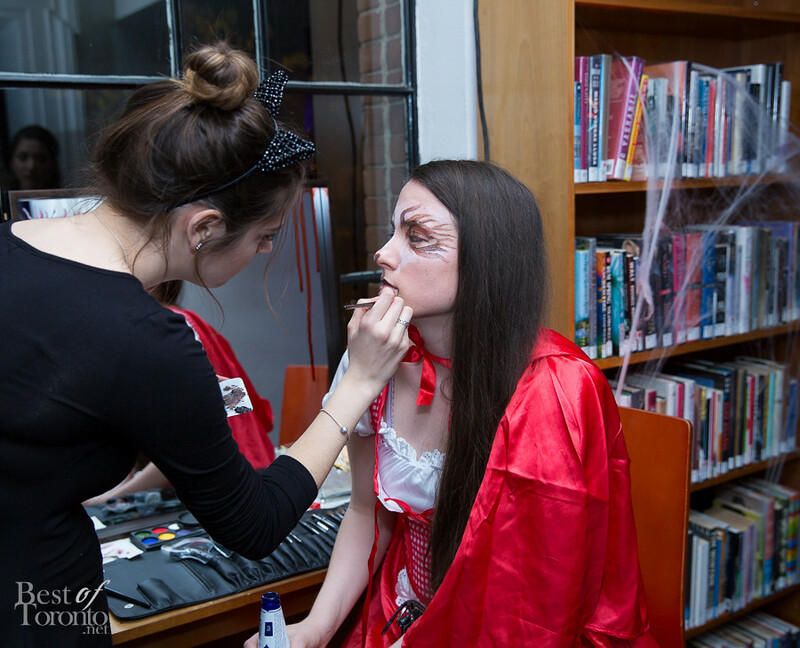 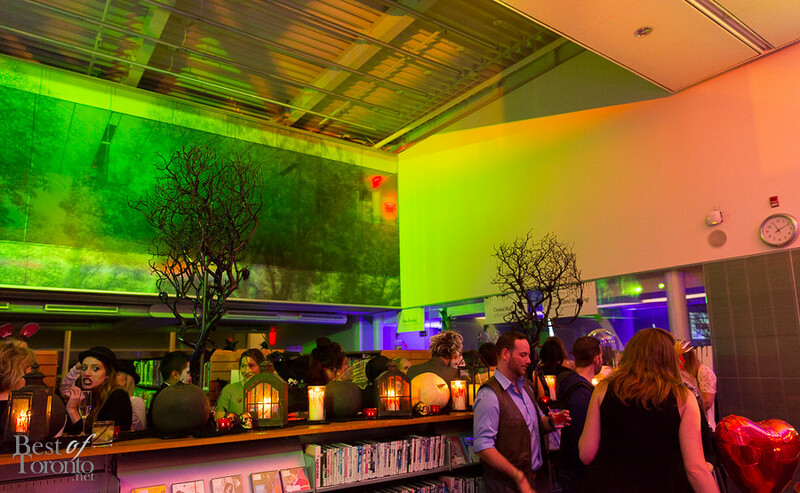 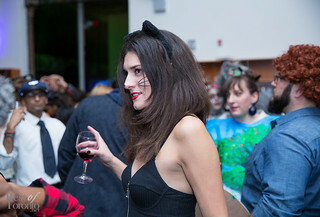 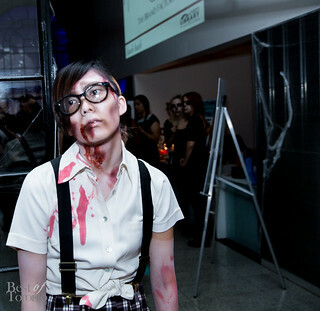 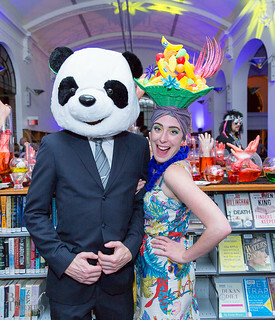 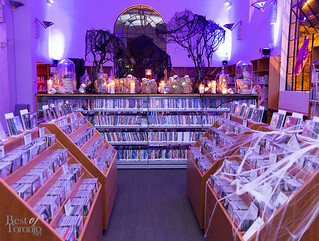 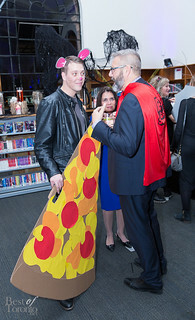 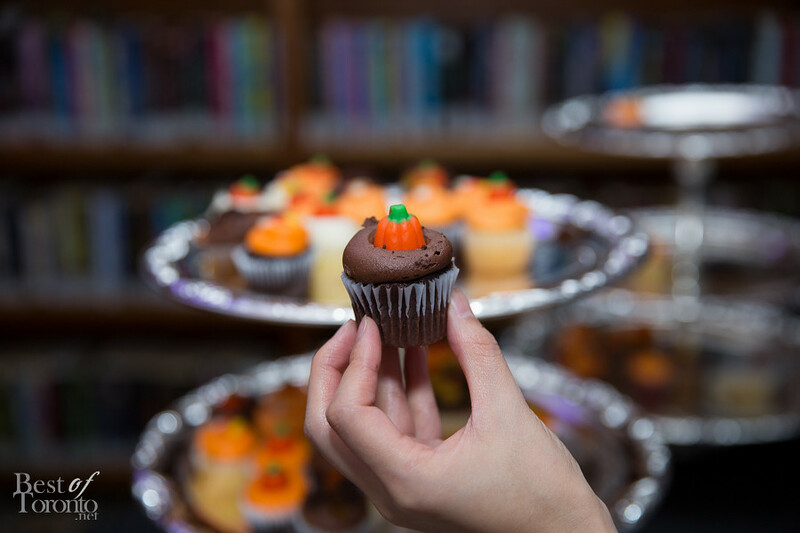 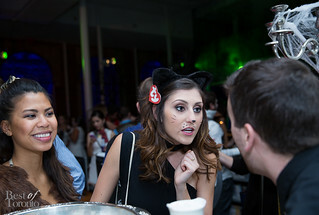 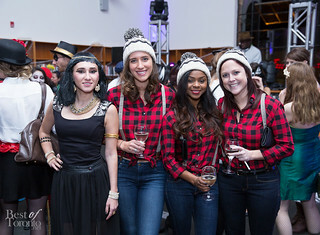 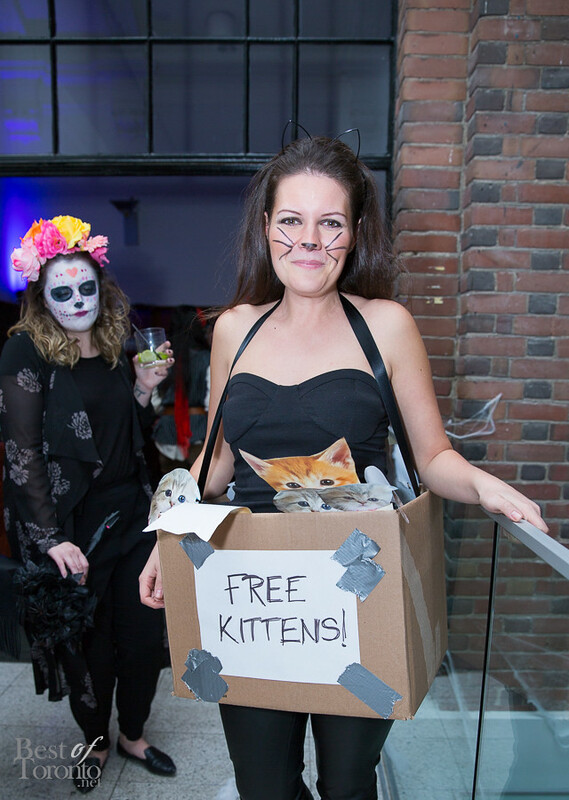 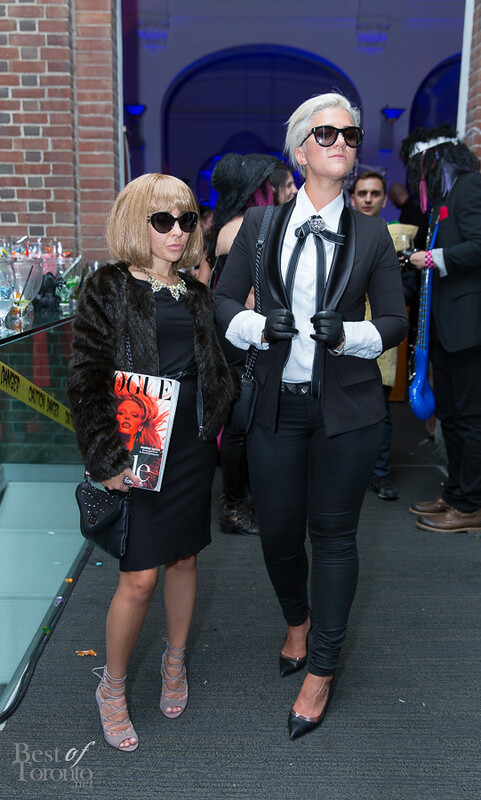 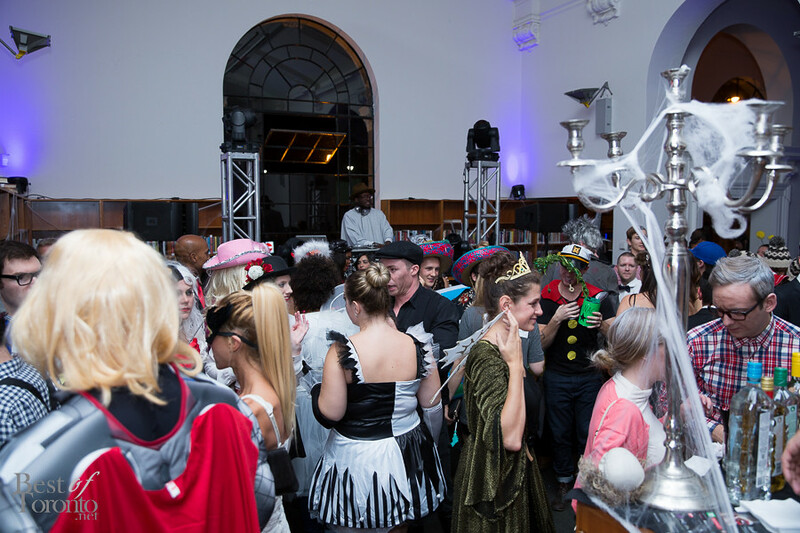 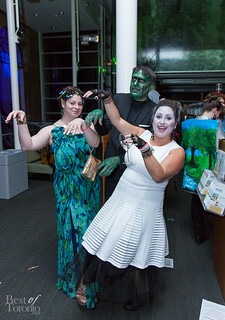 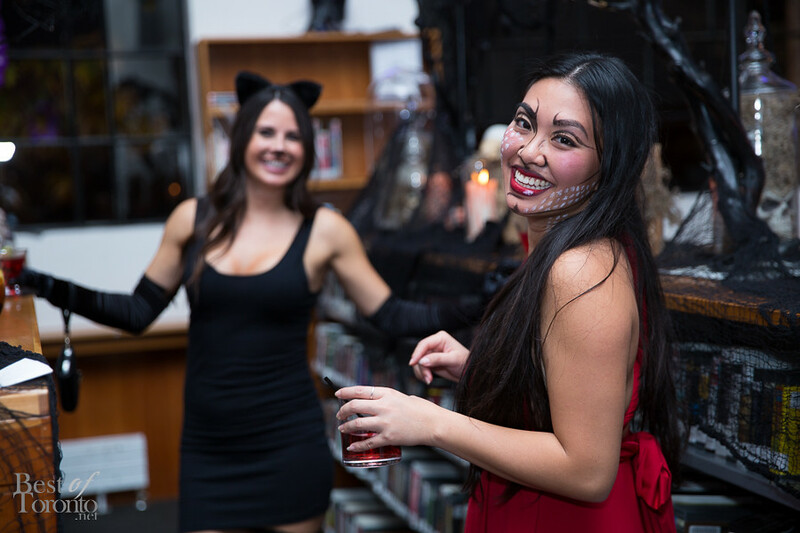 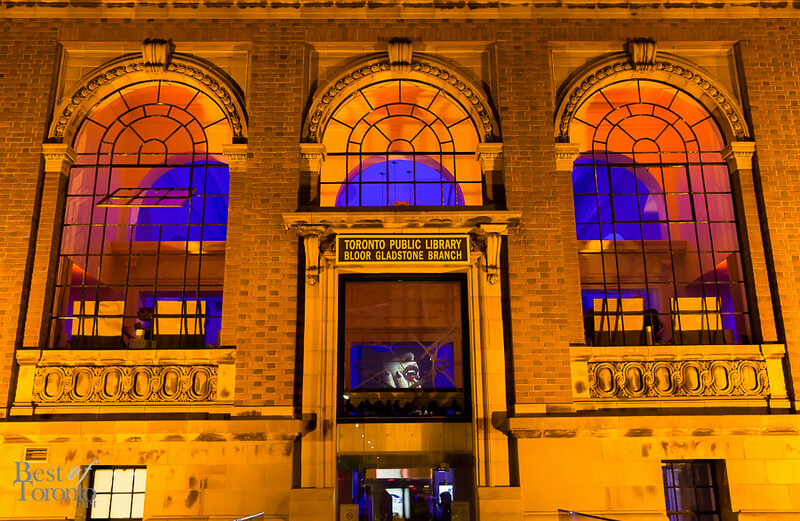 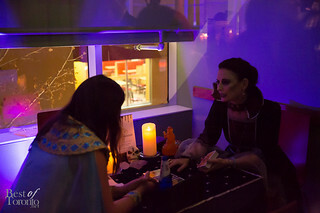 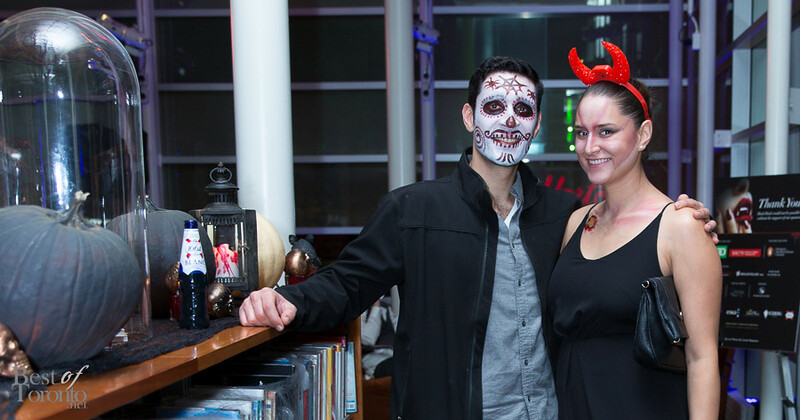 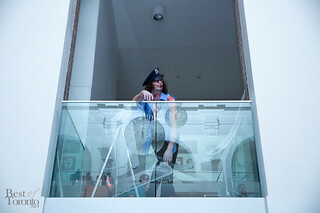 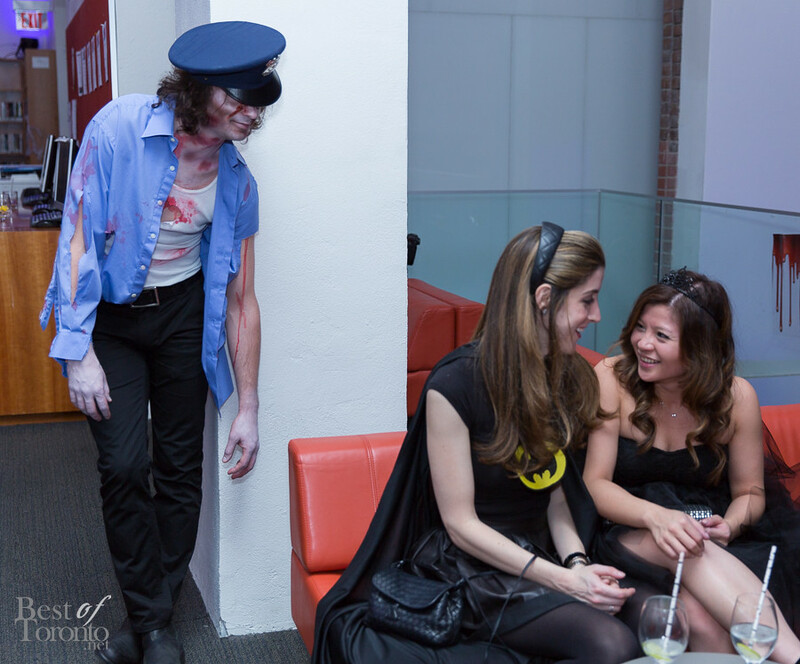 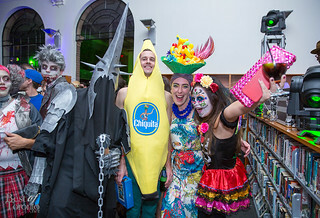 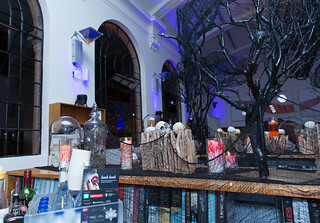 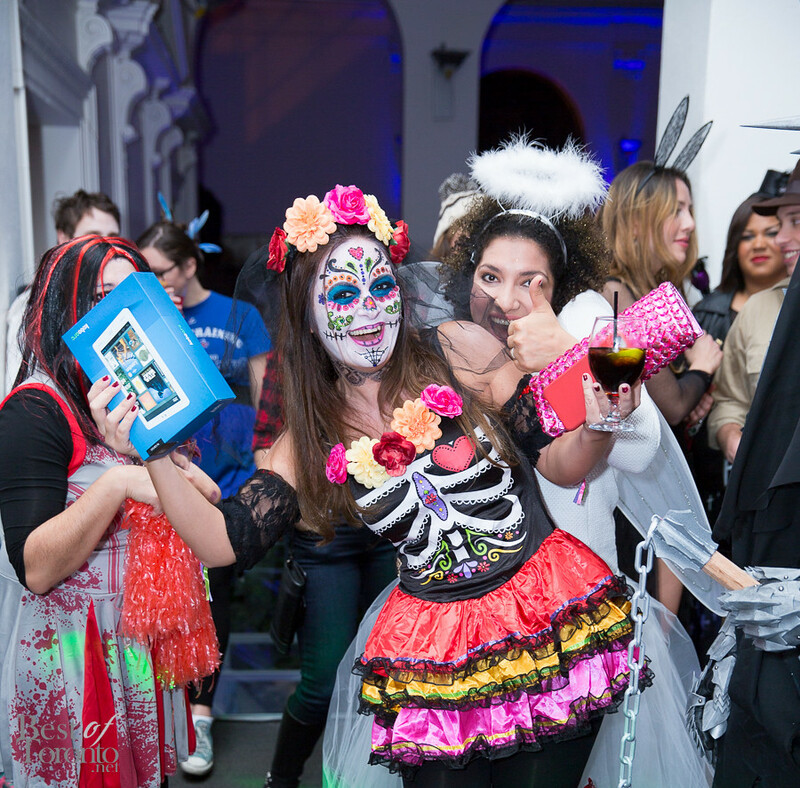 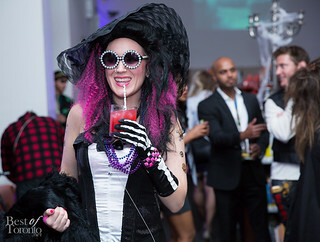 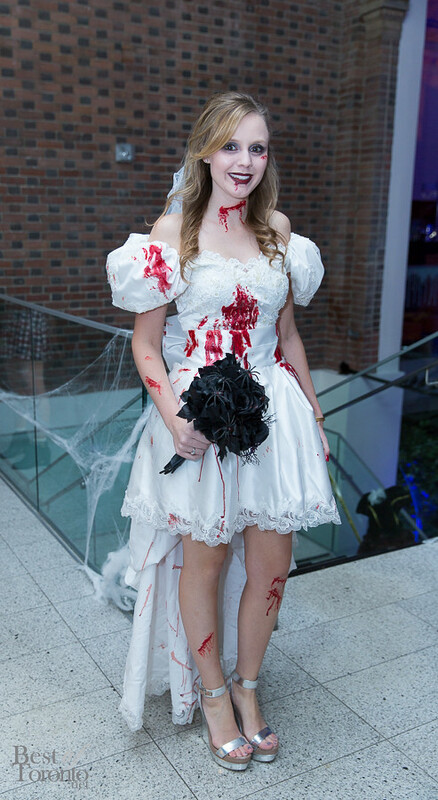 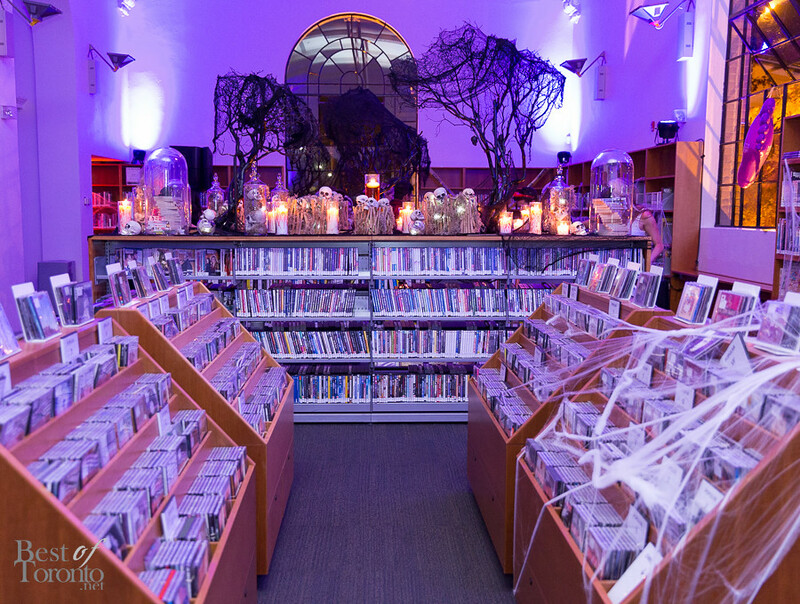 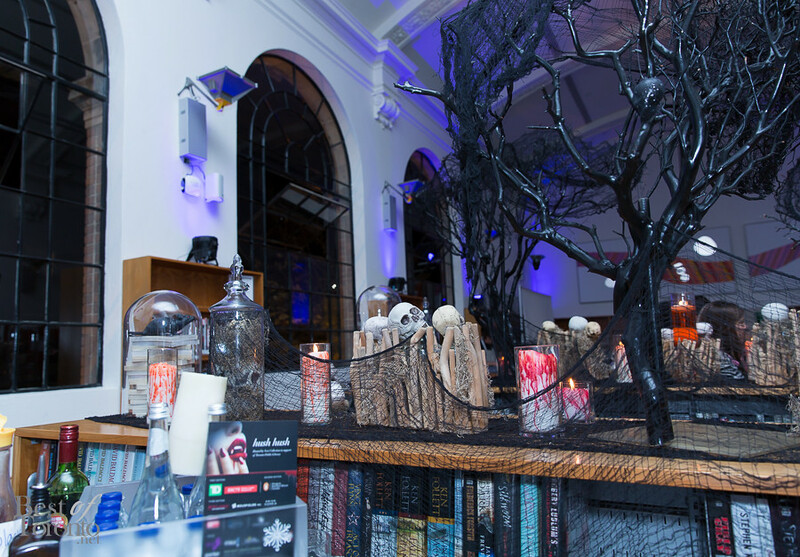 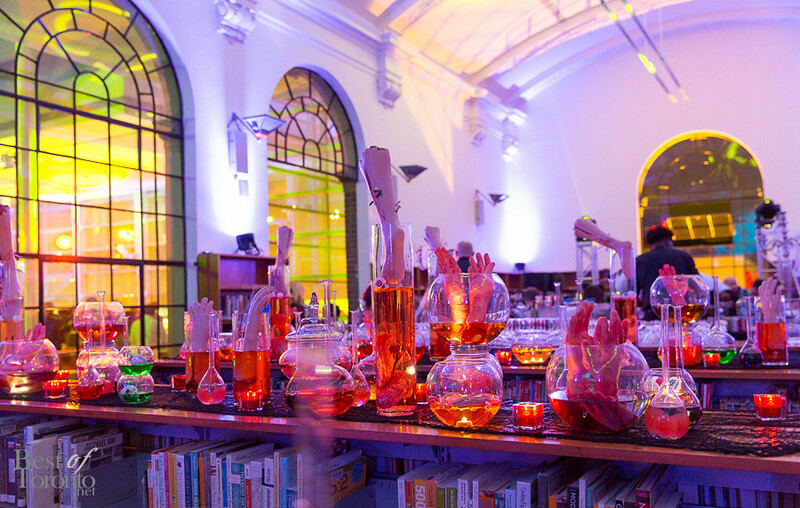 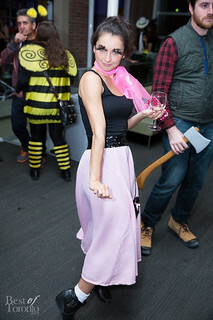 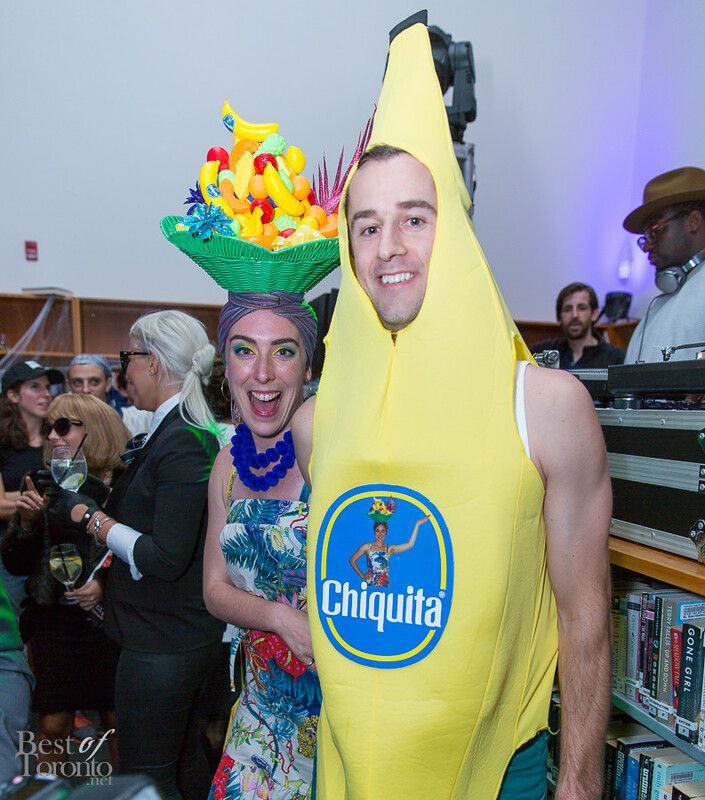 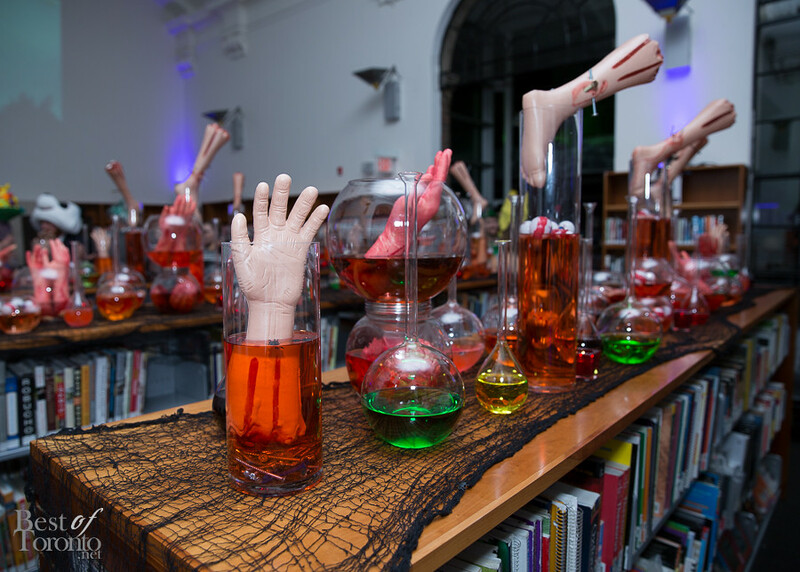 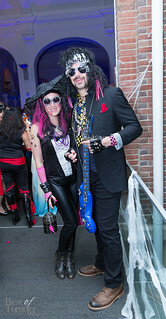 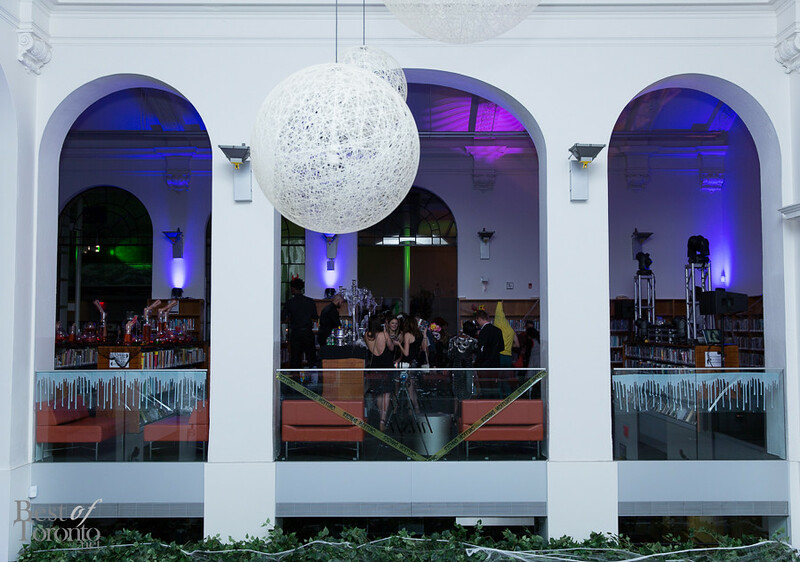 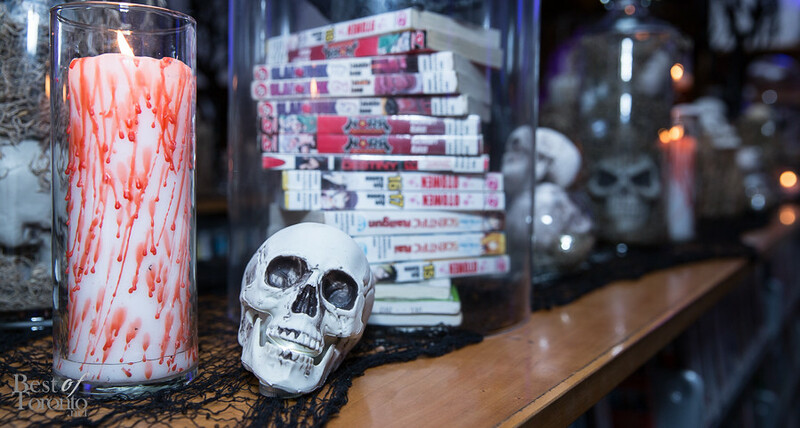 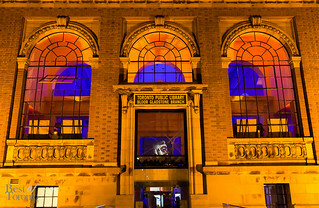 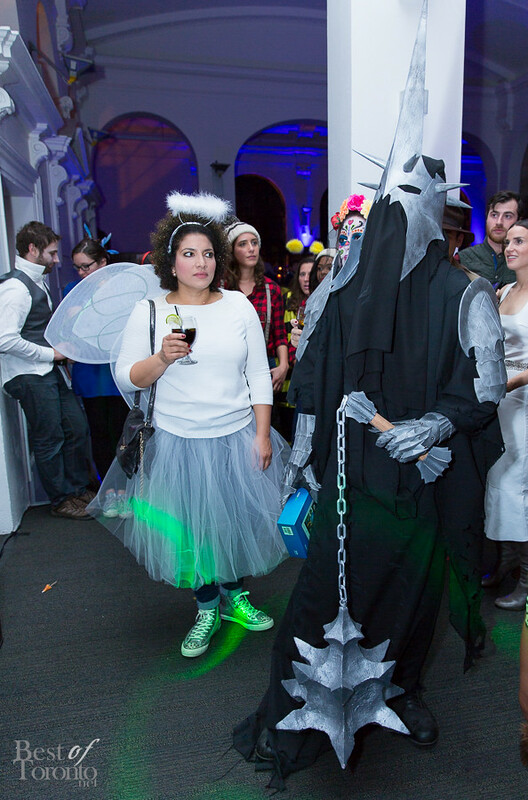 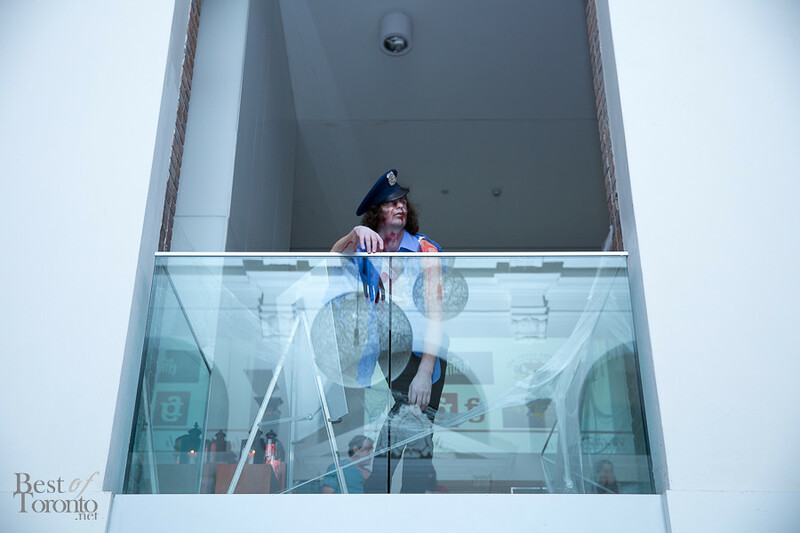 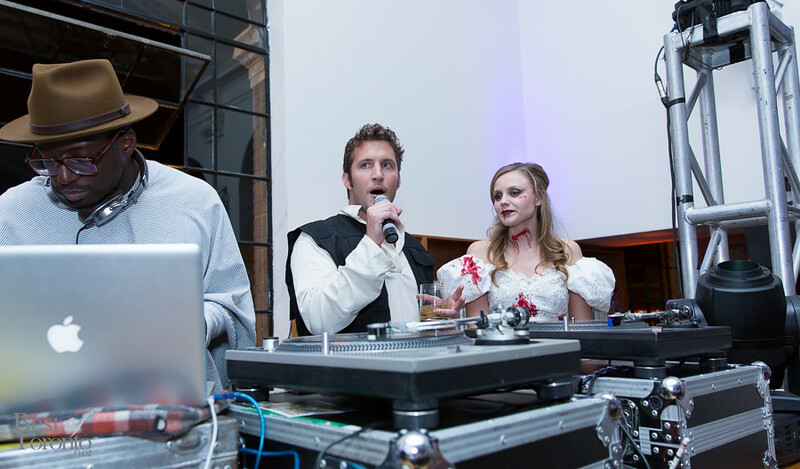 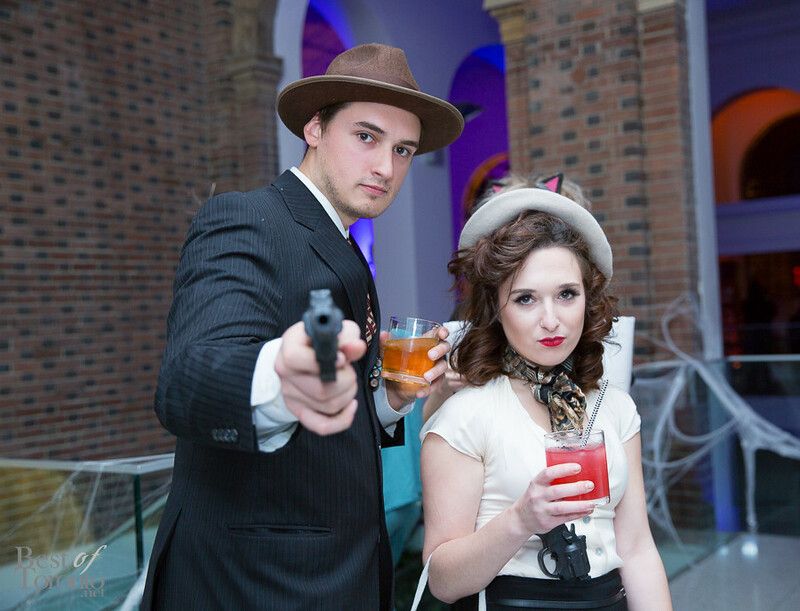 The annual Hush Hush Party, a one of a kind and memorable event took place at the Bloor / Gladstone Public Library, was exceptionally spooky and fun this year as it took place for the very first time on Halloween night. 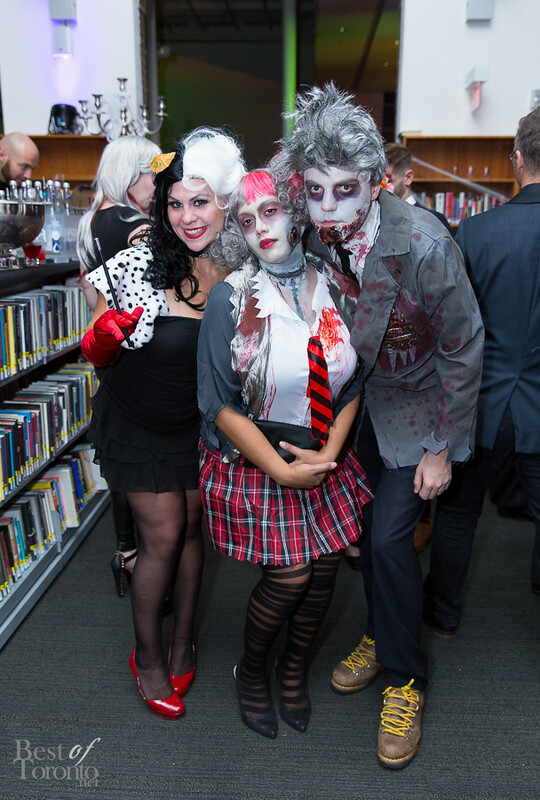 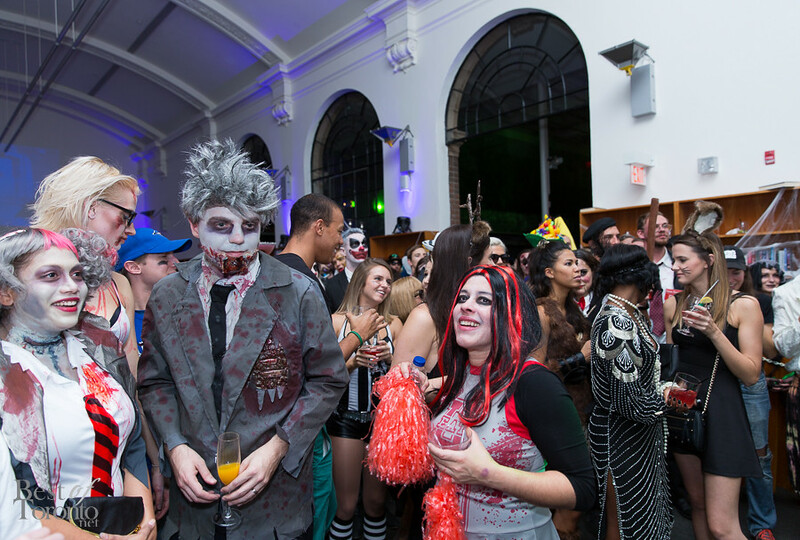 The library which was transformed into a haunted lair where zombies roamed the book stacks, provided guests with an uncanny and marvelous atmosphere. 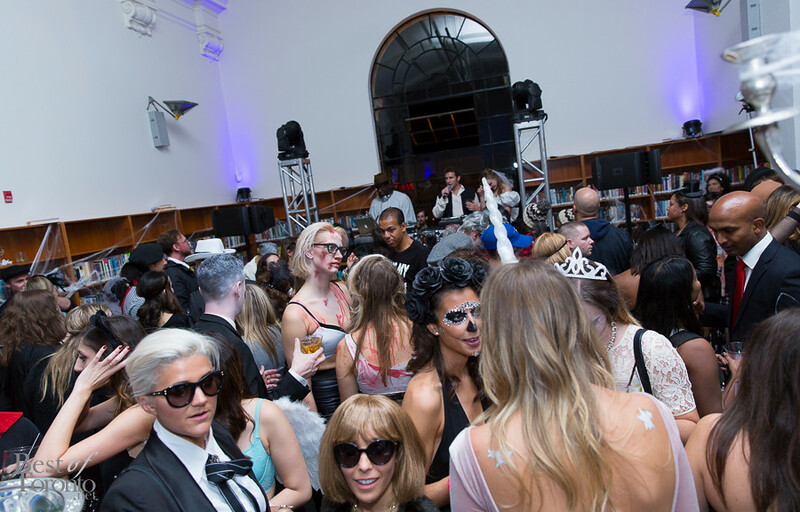 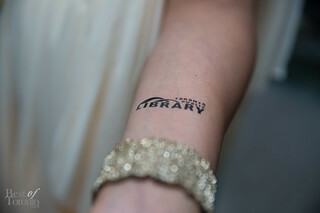 Frankly, when do you get a chance to party in a library? 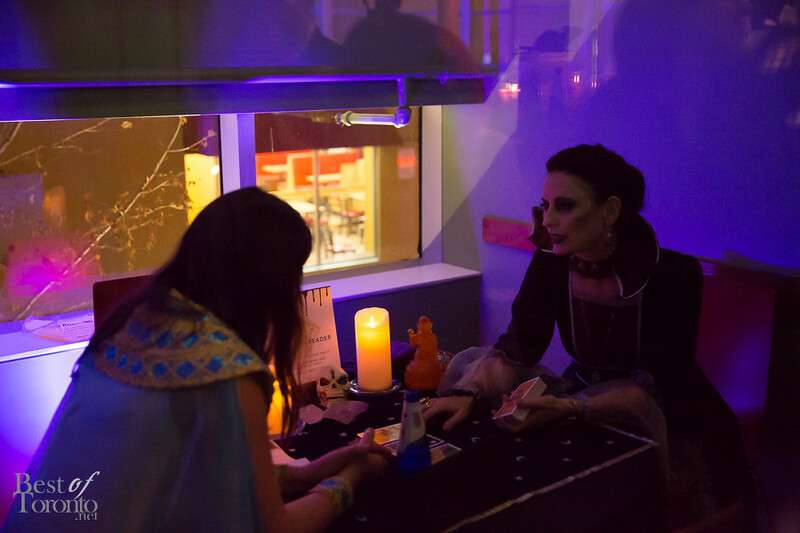 The library was full of entertainment; music was spinning, food and drinks were all around the venue, there was a card reader, palm reader and a crystal ball for all your needs and inquiries into the future and paranormal. 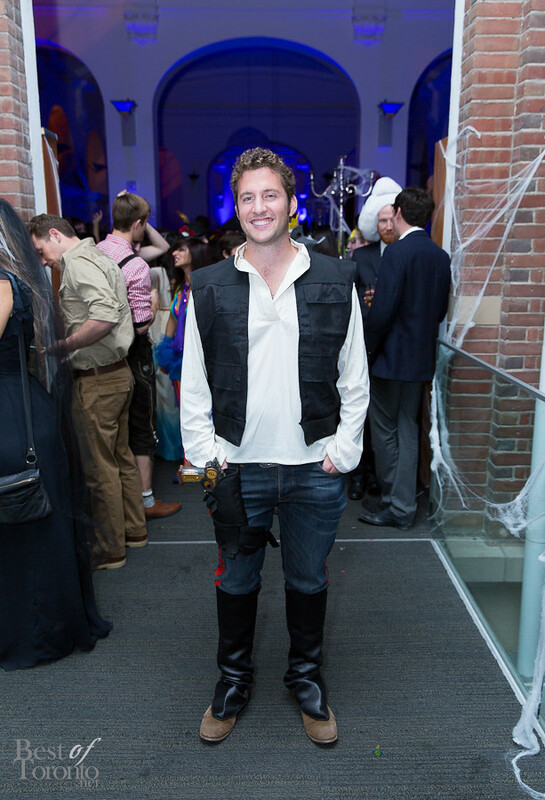 What also made for a great party were the guests which had some creative Halloween costumes. 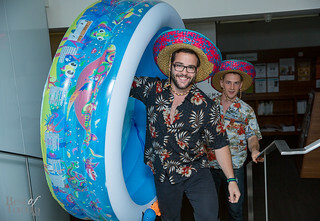 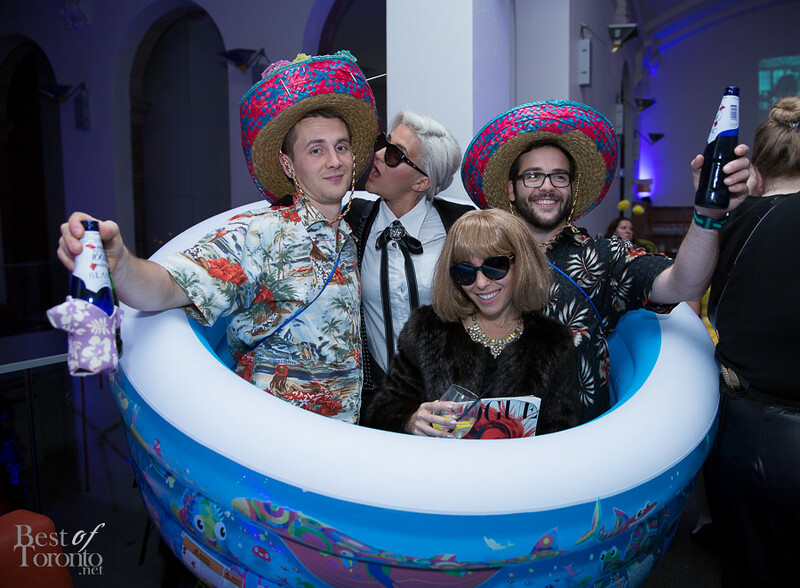 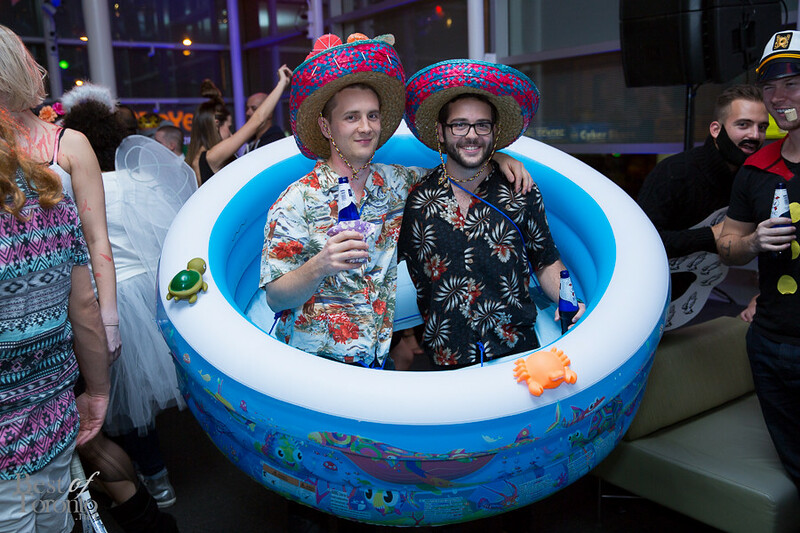 Never have I seen an inflatable swimming pool as a costume before – that was a great one! 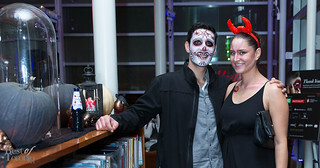 A couple of best dressed that night won prizes; Ipads for the trick or treat bag. 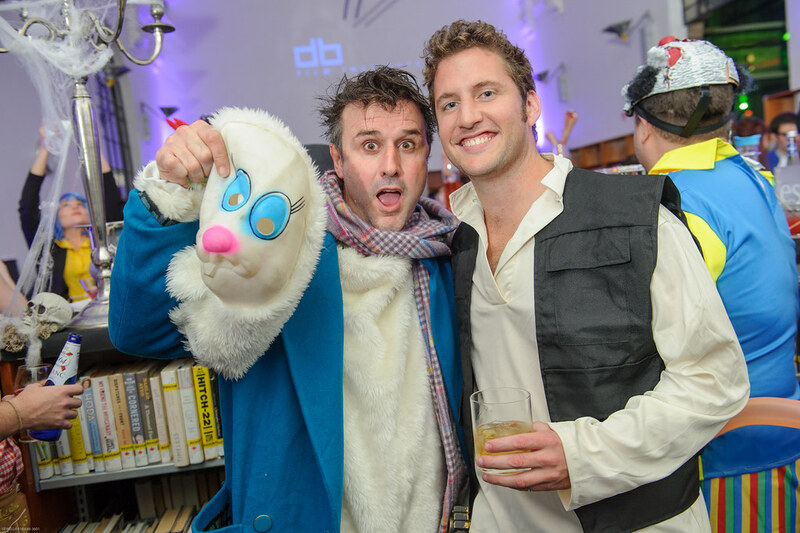 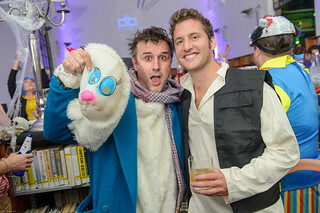 David Arquette also made an appearance in a rabbit suit to lend his support for this event. 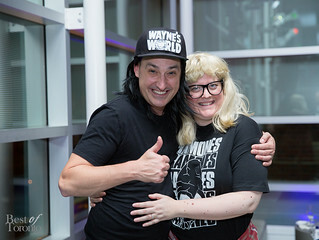 He is in town to perform in the new theatre show, Sherlock Holmes – A New Theatrical Adventure at the Ed Mirvish Theatre. 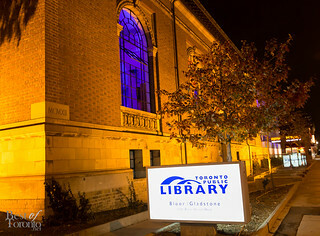 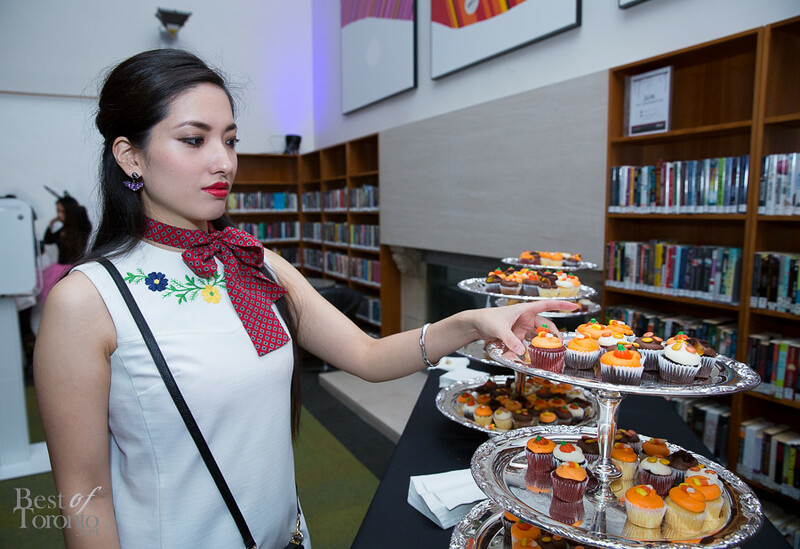 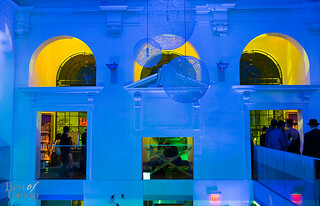 This event was hosted by Toronto Public Library Foundation’s young patrons group, New Collection in support of the Toronto Public Library Foundation’s initiatives: Youth Hubs and Digital Outreach, KidsStops and Young Voices. 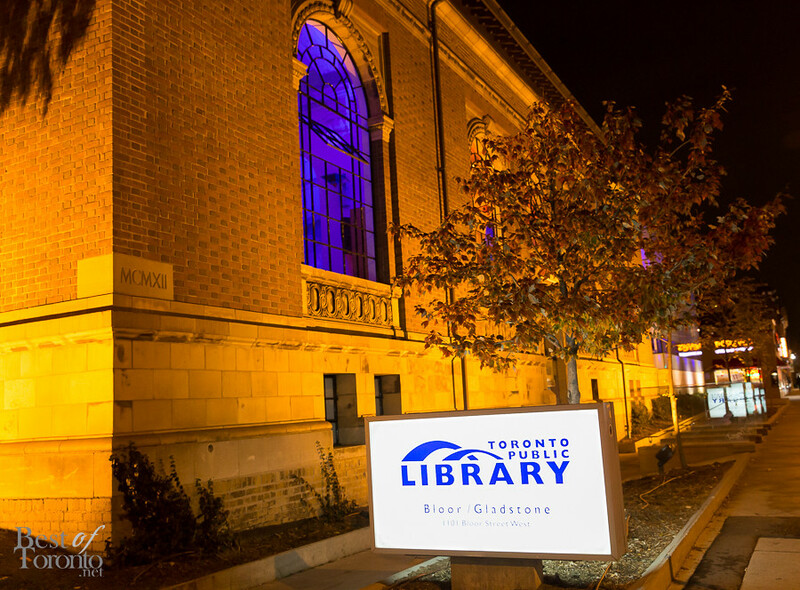 These initiatives help children develop reading and literacy skills, make life-long learning possible and support creativity and culture in our communities. 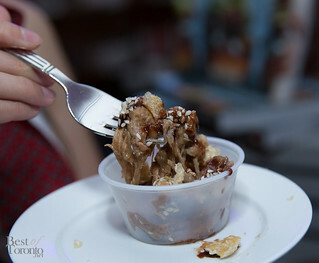 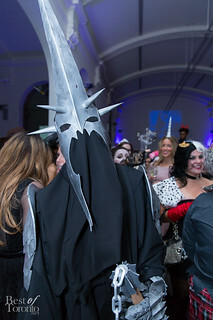 The Hush Hush party was a good time for a good cause in a most unique way. If you haven’t been to a Hush Hush party, be ready to catch the next one! 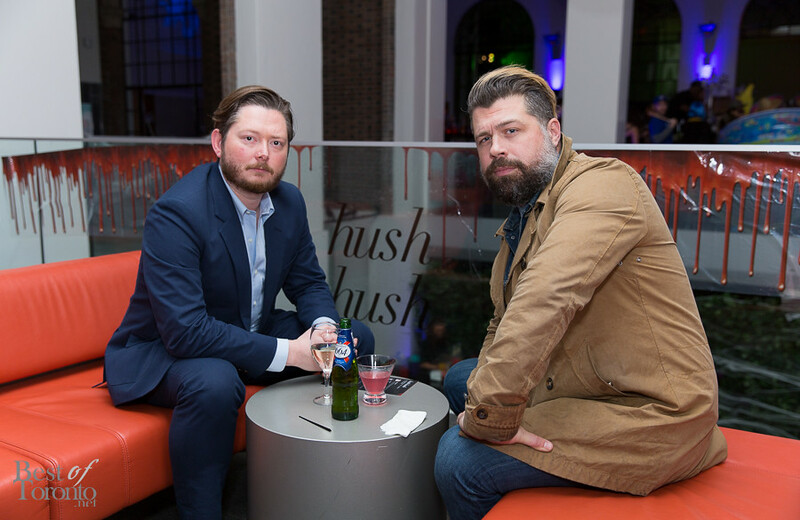 Also check out Hush Hush 2014 and Hush Hush 2013.